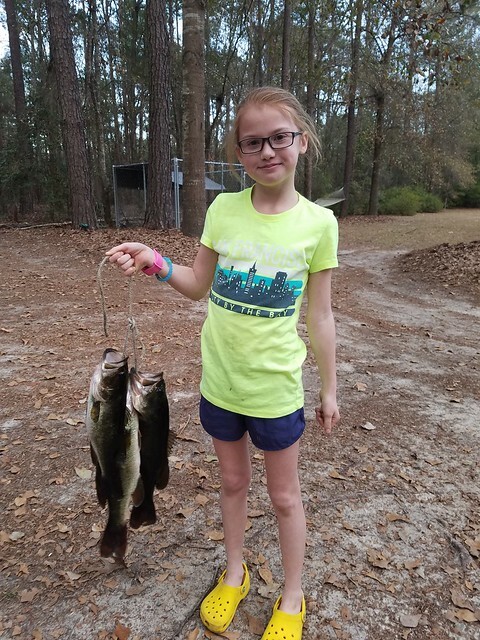 Kinsey lost 2 nice ones.........she loves to fish with my little rod that has 6 lb test and they broke the line! Bailey went with us.........she does not like to fish as much as Kinsey. The little ladies have grown up! What's the circle off the dock? 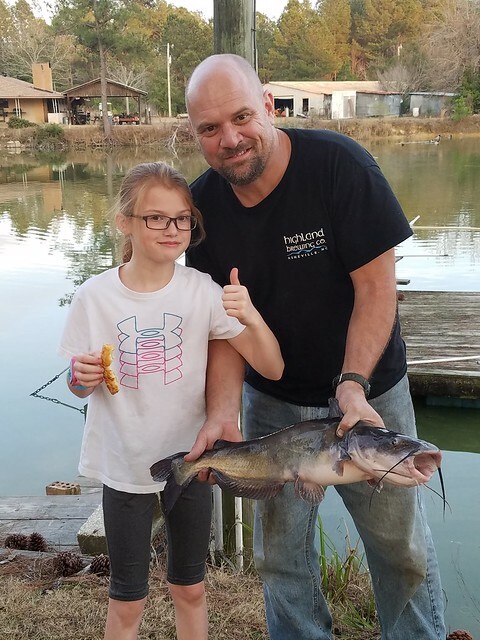 Guess you have not been around many catfish ponds? 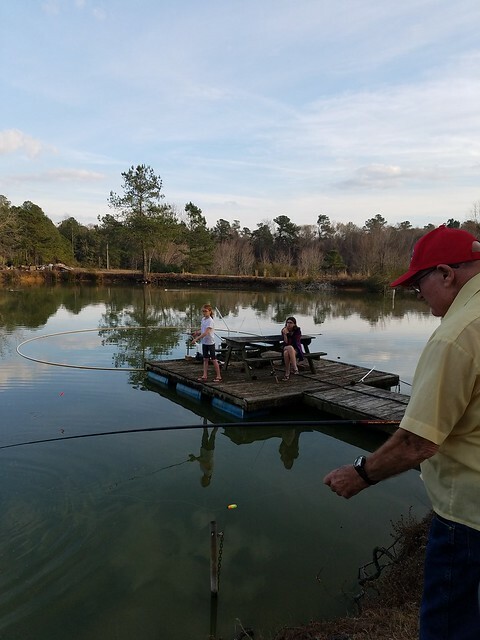 He uses that so the catfish food does not float into the banks.........it stays in the ring. Yep..........one turned 13 Friday and one turns 10 Wed.........two weekends of sleepovers with a bunch of screaming giggly girls! I thought about taking a long bath and down a few dozens sleeping pills and a bottle of Jack last night.........it would have been easier. Looks like fun! Hard to go wrong spending time at a small pond. Been there and done that! I usually get them to plan sleepovers when I'm either working or gone somewhere. Wow! Can't believe Kinsey is already 10. That's great! Mine is about to be 15. These girls are tough to manage in the teen years. The boys are much easier! The red head LOVES to fish!